Bluebonnet Smile: Do you know a teacher? Do you know a teacher? 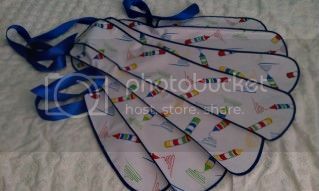 Dont you just love this apron. Oil cloth and crayons, perfect for back to school or a teacher's gift. Come on to The Girls at Rusted Gingham's Barn Sale on Novermer 2 and 3, 2012. There will be aprons galore.